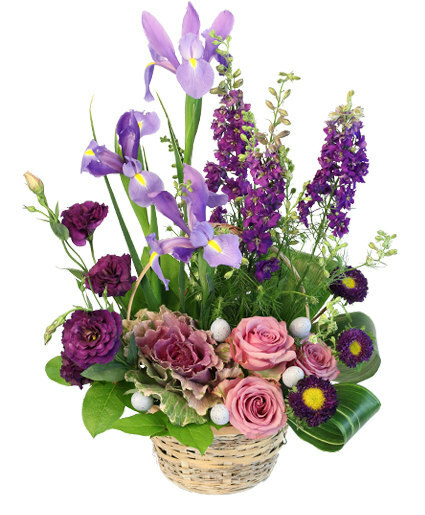 True love is a dedication unlike any other, and this beautiful show of color is perfect for those who mean the most. 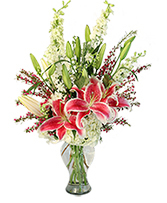 Deeply Dedicated puts vibrant pink Stargazer lilies front and center while white hydrangea and larkspur give wishes for abundant happiness. 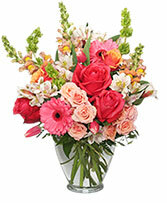 This sweetly scented bouquet will speak directly to their heart! 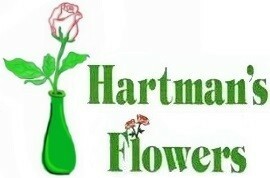 Note: Shown in clear vase but ours are in a red vase.